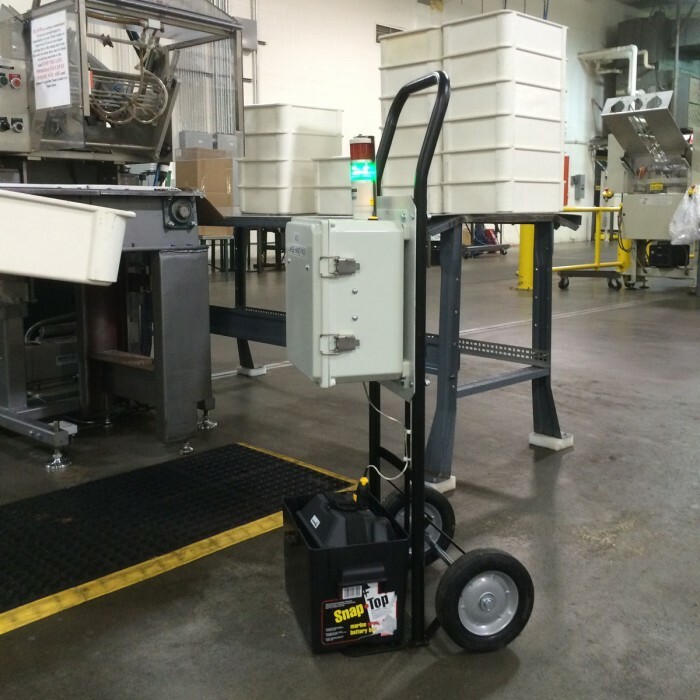 An RFID Mobile Read Station can be best compared to a fixed position barcode scanner, but on a mobile cart with its own power source (battery). This product offers the same functionality as the RFID Read Station, but with the ability to move it around your facility as needed. This solution offers the hands free capability to track items as they pass into the vicinity of the station, but eliminate the need to “face” the product since line of sight is not required with RFID. They report the last seen at location of a tagged item as it passes by. A mobile read station includes the RFID reader, middleware, antenna, stacklight diagnostic indicator, WiFi access point, battery with charger, and wheeled frame. This product was developed for manufacturers with production space that is reconfigured based on shift or product type being manufactured. It also allows for remote or field tracking and tracking in areas where power is not available.